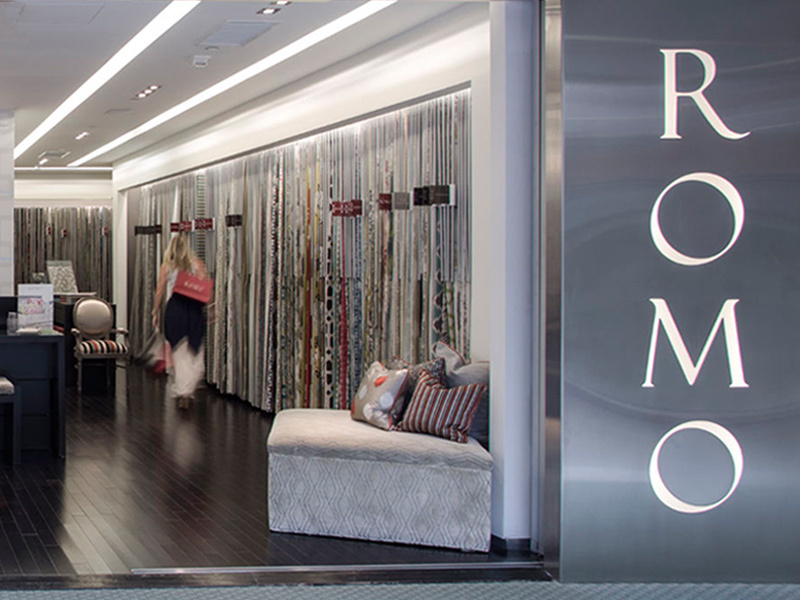 Romo opened its Florida showroom in 2009. A smaller boutique version of the New York showroom, incorporating the same modern design and efficient layout, it was recently voted “most popular showroom” at the Design Center. The showroom supports our superb road program and has formed an ideal gateway to connect with the Latin American Design elite. New collections feature prominently alongside all current ranges and we offer an instant memo sample service.